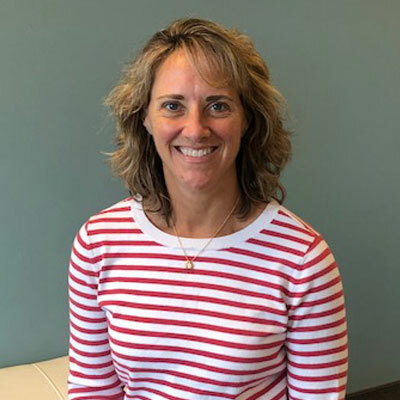 Kristin Dyer is our Director of Solutions Architecture who works with our sales team and their clients to present proposals and RFP responses that showcase the full scope and breadth of the training offerings that TTA offers. Kristin, our marketer at heart, loves creating engaging and concise solutions that address the clients concern and needs. Kristin works on proposals for clients, big and small, and loves the challenge of determining which of our solutions best fit the client situation and training need. Kristin is a former sales goal achiever and Marketing Manager of the Year… as a new member of the TTA team, we know she is going to make the same type of impact here. Kristin holds a Bachelor’s degree in Management Science with a concentration in Marketing from Bridgewater State University. My go-to is always Alanis Morisette- You Oughta Know. My career has been a mix of sales and marketing which has been exciting! It has led me to opportunities that I wouldn’t have had if I didn’t make myself well-rounded in my skillset. I am proud to have run 4 marathons (Boston finisher 2008, 2010, and 2014 and Marine Corps 2013) and over 30 half-marathons. The training, discipline, intensity and drive will challenge you in ways you may not ever expect. But after 13.1 or 26.2 long miles, crossing the finish line reminds you of all the sweat and tears that went into your race! And while I clearly didn’t “win” the race, every finish is a personal victory and a moment of pride.